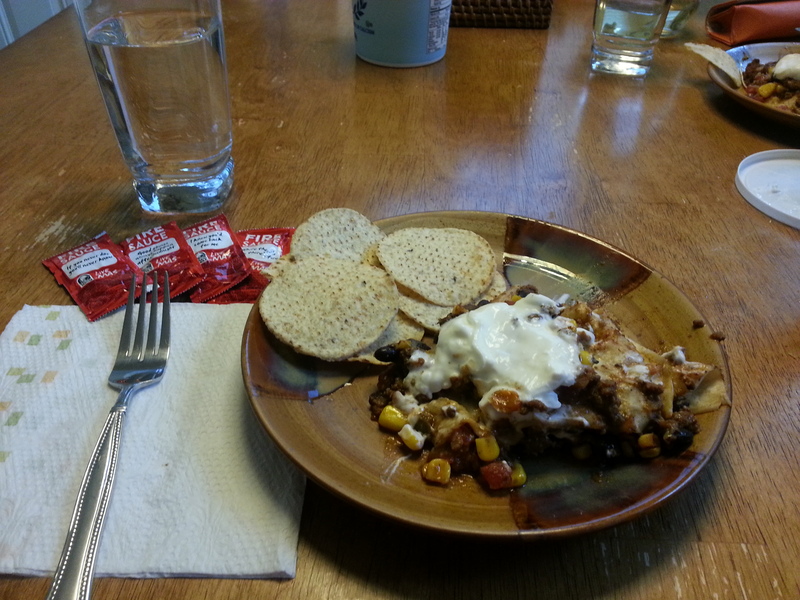 Enchilada Casserole – Dancin' and Cookin' in the Kitchen! This is a DELICIOUS dish that you can actually make with combining leftovers from other dishes! Kind of like a “pantry cleaning out” night… or a refrigerator “clean out” night! I combined 2 different recipes to come up with the above… totally worth it! Line a deep-dish 9″ pie pan (or Springform cheesecake pan) with foil, then coat with cooking spray. Layer on half of the ground beef, diced pepper, black beans, cilantro, corn and onions. Pour on 1/2 cup salsa (or Rotel), sprinkle on 1/3 cup cheese and top with a tortilla.